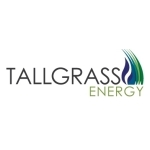 LEAWOOD, Kan.–(BUSINESS WIRE)–Tallgrass Energy, LP (NYSE: TGE) (“Tallgrass”) today announced it has signed a binding agreement with an unaffiliated third-party that has the potential to be an anchor shipper and equity partner in Tallgrass’ proposed Seahorse Pipeline, a crude oil pipeline that would run from Cushing, Okla., to both the St. James, La., refining complex and Tallgrass’ planned Plaquemines Liquids Terminal (“PLT”) in Louisiana. In addition, Tallgrass announced that its affiliate, Tallgrass Pony Express Pipeline, LLC, will launch a new joint tariff open season on Nov. 30 soliciting shipper commitments for crude oil transportation under a joint tariff between the Pony Express and Seahorse pipelines from Guernsey and DJ-Basin origin points to the St. James refinery complex and PLT. This news follows a recently announced Pony Express expansion open season. The land was acquired pursuant to an agreement between PLT and the Plaquemines Port & Harbor Terminal District (“Plaquemines Port”). PLT and the Plaquemines Port will work collaboratively to permit and construct the terminal. As part of the transaction, the Plaquemines Port received a 50-acre tract that will serve as a conservation easement adjacent to the historic community of Ironton, and an additional portion of the site will be made available for the Mid-Barataria Sediment Diversion project, a critical restoration project that is part of Louisiana’s Master Plan to create a more sustainable coast. The Plaquemines Parish Council voted 8-0 in favor of the transaction. Disclosures in this press release contain forward-looking statements. All statements, other than statements of historical facts, included in this press release that address activities, events or developments that management expects, believes or anticipates will or may occur in the future are forward-looking statements. Without limiting the generality of the foregoing, forward-looking statements contained in this press release specifically include the potential anchor shipper and equity partner for the proposed Seahorse Pipeline, the feasibility, cost, execution, in-service timing, capabilities and expected benefits of the Seahorse Pipeline development project, the PLT development project and the Pony Express Pipeline expansion project, and the expected launch of a new joint tariff open season on Nov. 30 by Tallgrass Pony Express Pipeline, LLC. Such statements are subject to a number of assumptions, risks and uncertainties, many of which are beyond the control of Tallgrass, which may cause actual results to differ materially from those implied or expressed by the forward-looking statements, and other important factors that could cause actual results to differ materially from those projected, including those set forth in reports filed by Tallgrass with the Securities and Exchange Commission. Any forward-looking statement applies only as of the date on which such statement is made and Tallgrass does not intend to correct or update any forward-looking statement, whether as a result of new information, future events or otherwise, except as required by law.